British design studio Hive has collected together guidelines for working on JS projects. Reddit felt that TypeScript was the best option for typed front-end development. A powerful React-based static site generator. v1 can integrate with CMSs like Wordpress, and Drupal, and supports route-based code splitting, service workers, offline support, etc. Building with reusable, isolated components will make your work clean & maintainable. 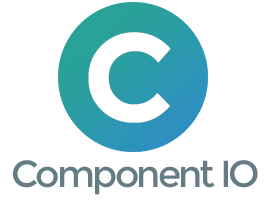 Component IO offers ready-to-use website components that work everywhere. Use the live online content & code editor to improve your workflow. Provides React’s component-based UI building experience, but for command line-style apps. An intriguing idea. Bring the power of embedded videos to D3 visualizations. An interesting new Babel plugin to pre-evaluate code at build time (perhaps to dynamically bring in content from files to other code). Kent also recorded a video of him building it. Introduces GraphQL, CSS-in-JS and JSON support. A simple, functional alternative to Moment.js. Build interactive features, like notifications, in minutes with just a few lines of code.